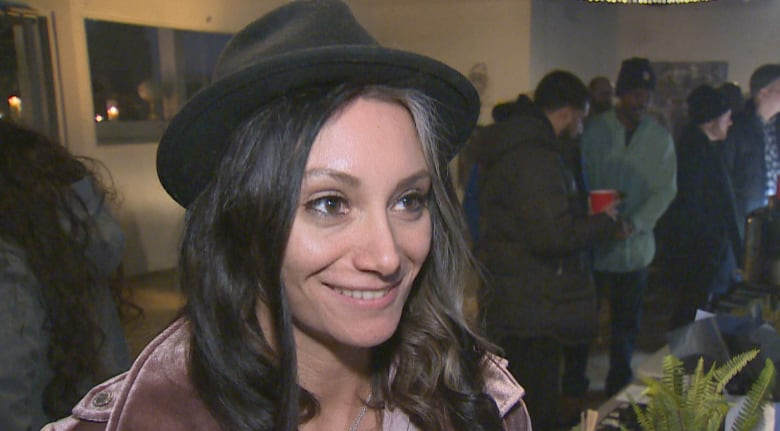 On Sunday, cannabis enthusiasts gathered in downtown Toronto for the first-ever Love Market, a Valentine’s Day themed craft-cannabis pop-up shop. Valentine's Day might be just a few days away, but that doesn't mean that love is the only thing in the air. 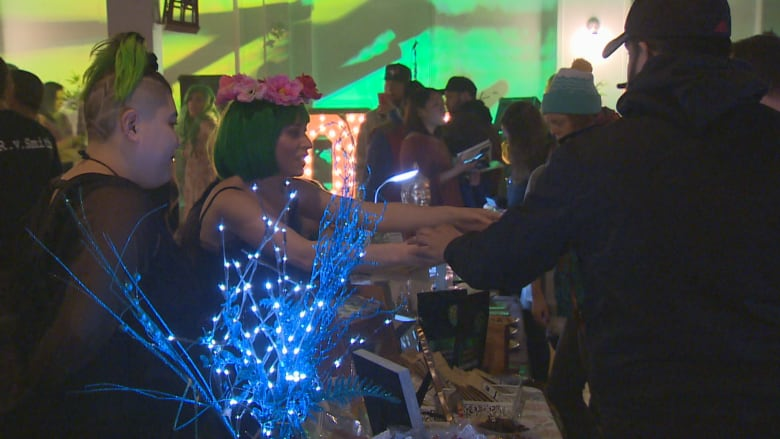 On Sunday, cannabis enthusiasts gathered in downtown Toronto for the first-ever Love Market, a Valentine's Day themed craft-cannabis pop-up shop. 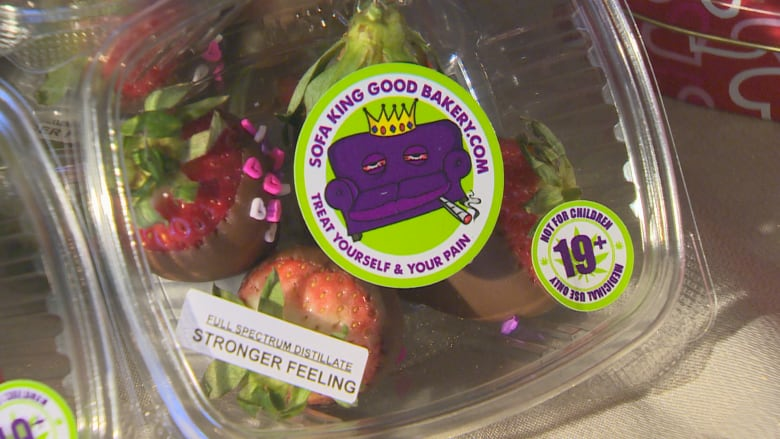 Complete with more than 25 cannabis brands, a pot juice bar, live music and photo booth, participants shopped for various pot products, including edible, topical and vapour items. Hosted by "cannabis-friendly" entertainment and promotional group The High5, the event is likely a taste of things to come as the group says it will host monthly themed events throughout the downtown core. And High5 co-founder Sarah Gillies says she expects events like these to become more popular once pot gets legalized. "When I'm looking for a space, I get a lot of 'Nos, but call me when it's legalized,'" Gillies told CBC Toronto. "I think a lot of people are gearing up to take on events like this, but they won't because of the risk." Gillies has helped organize events like these over the past two years and despite being illegal, she says she hasn't had much trouble with the police. "The times that we've had police come in, they've kind of more checked out, and made sure nothing bad is going on, and so far so good," Gillies said. Despite that, there's been trouble getting the word out for her events. "[Marketing] is always tricky because you get ads taken down," she said. "It's a lot of word of mouth, and it's really great that so many people came out today." Tania Cyalume of the Bloom High Tea Social Club sold an assortment of organic, gluten-free and vegan products Sunday and says there were a lot of customers waiting as soon as the doors opened. She added that she's happy to open up booths at these types of events because it makes her patients feel safer. "We're happy that we have these types of markets that we can connect with patients and have somewhere where they can come that they feel safe," Cyalume said. "It feels a little bit safer to come to these pop-ups than to be going to dispensaries." For Tijen Yalchin, owner of Earth Kisses Sky, which offers a variety of herbal medicine products, she says she appreciates the community. "I feel like a good connection and support from each and every one of the vendors here," Yalchin said. "You can really feel the community and the love that's shown." She adds that the turnout has been "phenomenal" compared to the other expos she's been to like health and wellness expos, and her products do best at these types of expos. "I'm not sure if it's the way that it's run, the community aspect of it, but it seems to be like everyone is glued together. The turnout has been awesome." Janine Morra works for a cannabis magazine and says she came out to Sunday's event for some edibles. She says she's been to events monthly and says The Love Market is "perfect." "Every event there's more and more people. The need is there. "There's something for everyone whether you smoke or vape or edibles or topicals. There's something for everyone," she said. "It's not just a market. There's entertainment. It's a real community."